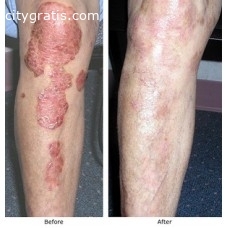 Psoriasis is a skin disorder, in which patient is disturbed with itching, scaling & irritation. There is no permanent cure in the any other systems of medicine, other than, The Ayurveda. According to Ayurveda, until & unless, toxins are not removed from the body, psoriasis is not cured. Ayurveda is considered to have the best and most ancient treatment for this disorder. Our HERBAL KIT FOR PSORIASIS removes toxins from the body. It clears & rejuvenates the skin.